An Annual fee of $99.00 and is charged on the account open date and annually on the anniversary of the account open date. The Interest Rate of 19.95%pa is applicable after the interest free term expires. Other fees and charges may apply as set out in the contract. 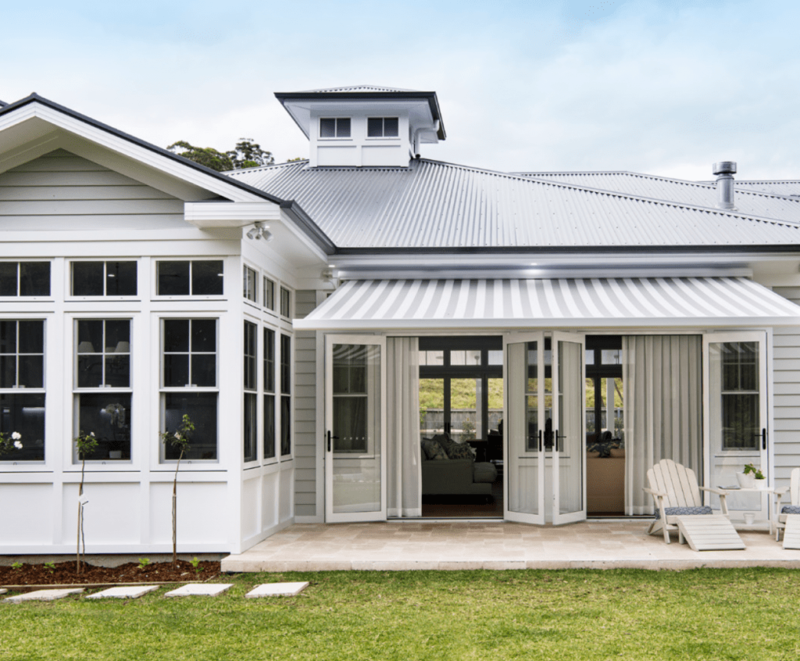 If you have any questions please do not hesitate to contact us on (07) 4967 3333. *Approved applicants only on a Once Agile Visa card. Terms, conditions, fees and charges apply including a $99 Annual Fee charged on the account open date and annually on the anniversary of the account open date. Minimum finance amount applies and is based on the promotional term. Interest, currently 19.95% p.a., is payable on any balance outstanding after the interest free period. Ask in store for details. Finance provided by Once Credit Pty Limited ABN 99 112 319 632, Australian Credit Licence Number 386194. Each applicant (”Member”), by signing and submitting an application form, or by using the membership card agrees to be bound by these Porters Rewards membership terms and conditions. Porters Rewards is operated by The Loyalty Group Pty Ltd (CAN 074 986 646). Visit www.luckybuys.com.au for Lucky Buys full terms and conditions. Employees of all Porters divisions are not permitted to hold a Porters Rewards Card or to participate in the program. Retail customers only are permitted to hold a Porters Rewards Card or to participate in the program. Trade and business sales are not permitted to be used in conjunction with the Porters Rewards Card. The Porters Rewards program means arrangements by which a member collects points by purchasing goods from participating Porters retail stores in Mackay and Whitsunday and thereby qualify from reward points be credited. Reward points eligible for redemption can only be redeemed from Porters retail stores in Mackay and Whitsunday. The retail store is solely responsible for the provision or payment of the reward upon redemption of points. Members may redeem points upon attaining the required number of 50 points and can redeem points only in multiples of 50. Further rewards may be offered in redemption of points at levels greater than 50 points as determined from time to time by the participating retailer and may vary from retailer to retailer. When a member elects to donate reward points to any Porters Rewards community based operation from time to time, those points will be deducted from the member’s points balance account. Points will be credited on purchase of goods at a rate to be determined from time to time and may vary from retailer to retailer. Rewards will be in the form of a gift card or gift and of a character, nature and value to be determined by Porters. Rewards are not redeemable for cash, and can only be claimed at Porters retail stores. Porters may in its absolute discretion terminate a member’s participation, cancel or bring forward any points, make changes to the terms and conditions, and suspend or terminate the Porters Rewards program. Rewards members are automatically opted-in to receive Porters newsletters and updates from time to time. Customers can choose to opt-out at any time. Porters Rewards members must always present their Porters Rewards card when making any transaction and any points collected may take up to seven business days for validation. The Porters Rewards card and points are not transferable and any redemption of points will not be available until after the validation period. Porters shall not be liable in any way whatsoever for any failure of equipment or delay in crediting points relating to any particular transaction to the Porters Rewards Member. No conditions or warranties except those implied and which cannot be excluded by law are given by Porters in respect of the award of points and any goods or services supplied upon redemption of points. Where it is lawful and practical to do so, the liability of the relevant venue for breach of a condition or warranty shall be limited to the re-supply of Porters Rewards points. 1. Each applicant (”Member”), by signing and submitting an application form, or by using the membership card agrees to be bound by these Porters Trade Rewards membership terms and conditions. Porters Trade Rewards is operated by The Loyalty Group Pty Ltd (CAN 074 986 646). Visit www.luckybuys.com.au for Lucky Buys full terms and conditions. 2. 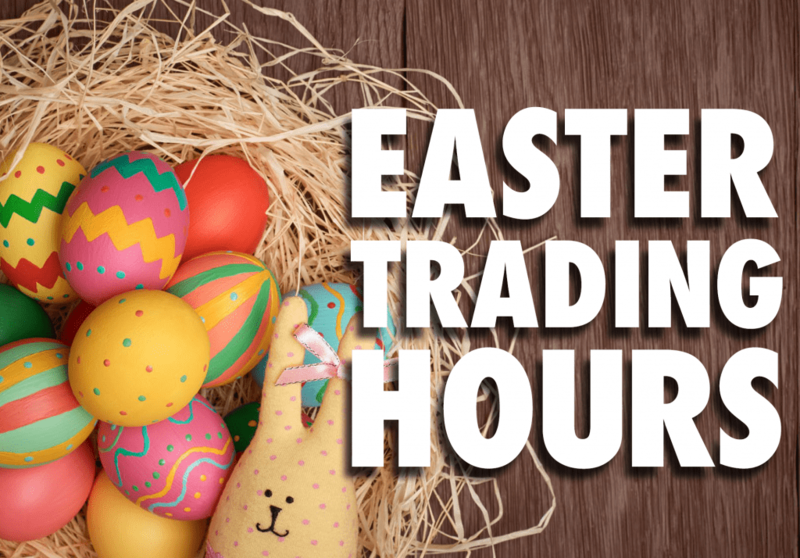 Employees of all Charles Porter and Sons Pty Ltd (Porters) divisions are not permitted to hold a Porters Trade Rewards Card or to participate in the program. 3. Porters Trade 30 Day Credit Account holders are not permitted to participate in the Porters Trade Rewards program. 4. The Porters Trade Rewards program means arrangements by which a member receives discount on selected goods from participating Porters stores and divisions and thereby qualify for reward points be credited. Porters reserves the right to change the discount amount and the products that receive discount without notice. Reward points eligible for redemption can only be redeemed from Porters. The company is solely responsible for the provision or payment of the reward upon redemption of points. Members may redeem points upon attaining the required number of 50 points and can redeem points only in multiples of 50. Further rewards may be offered in redemption of points at levels greater than 50 points as determined from time to time by Porters. Points will be credited on purchase of goods at a rate to be determined from time to time. Rewards will be in the form of a gift card or gift and of a character, nature and value to be determined by Porters. Rewards are not redeemable for cash, and can only be claimed at Porters stores. Porters may in its absolute discretion change discount levels and the products that receive discount without prior notice. Porters may in its absolute discretion terminate a member’s participation, cancel or bring forward any points, make changes to the terms and conditions, and suspend or terminate the Porters Trade Rewards program. Porters Trade Reward Card holders receive a 10% discount off any purchase from Charlies Coffee Shops upon presentation of their card. Porters Trade Rewards members are automatically opted-in to receive Porters newsletters, electronic direct mails, SMS communications and other marketing initiatives and updates from time to time. Customers can choose to opt-out at any time. 7. Porters Trade Rewards members must always present their Porters Trade Rewards card when making any transaction to be eligible to receive discounts and points. Points collected may take up to seven business days for validation. The Porters Trade Rewards card and points are not transferable and any redemption of points will not be available until after the validation period. 8. Porters shall not be liable in any way whatsoever for any failure of equipment or delay in crediting points relating to any particular transaction to the Porters Trade Rewards Member. 9. No conditions or warranties except those implied and which cannot be excluded by law are given by Porters in respect of the award of points and any goods or services supplied upon redemption of points. Where it is lawful and practical to do so, the liability of the relevant venue for breach of a condition or warranty shall be limited to the re-supply of Porters Trade Rewards points. 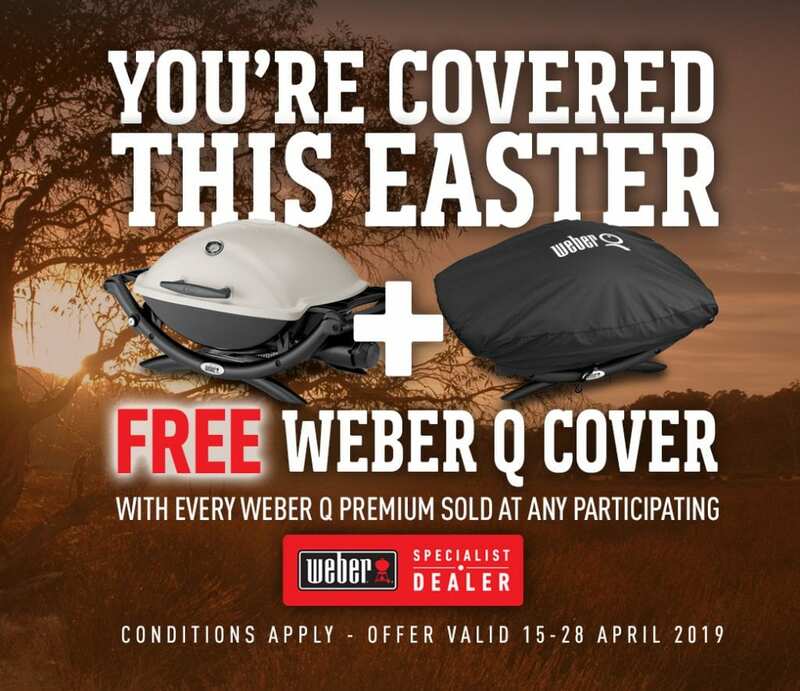 Free Cover with every Weber Premium BBQ purchase! 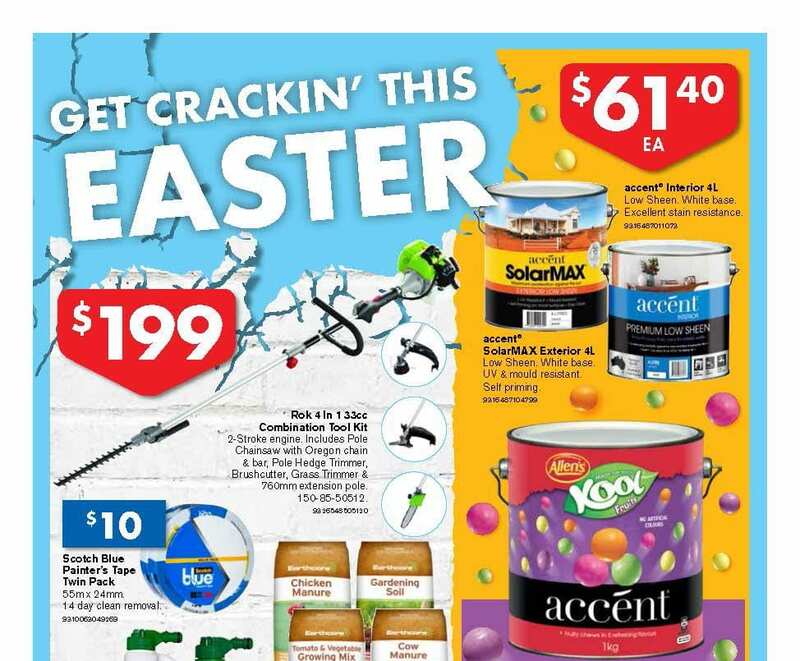 Porters Mitre 10 Easter Catalogue Out Now!